I found a wonderful spot to paint that has quickly become my favorite open figure painting group. Patris Gallery and Studio is an unassuming brick building in the up and coming Oak Park neighborhood. Walking inside however, one is struck by the wonderful figurative work hanging on the walls. The high ceiling and sky lights open the room and provide a relaxing place to view art and paint. 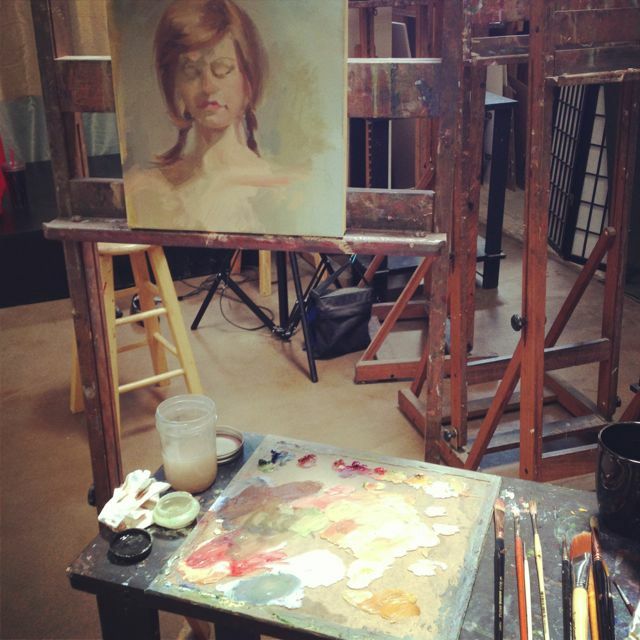 Every Friday a group of artist join together to paint from a live model. Getting two poses into a three hour time period proves to be a challenging and energetic setting. Below are some pictures from last weeks paint session. 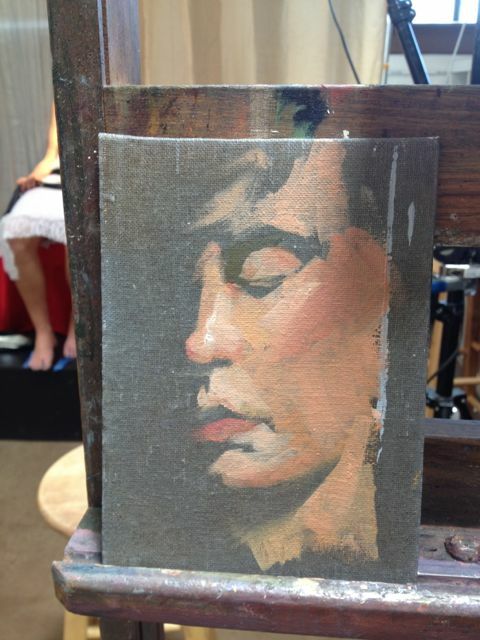 Enjoy the process and come join me next time to "make art, be art, buy art!"